People swim on the Salacak Coast in Üsküdar. 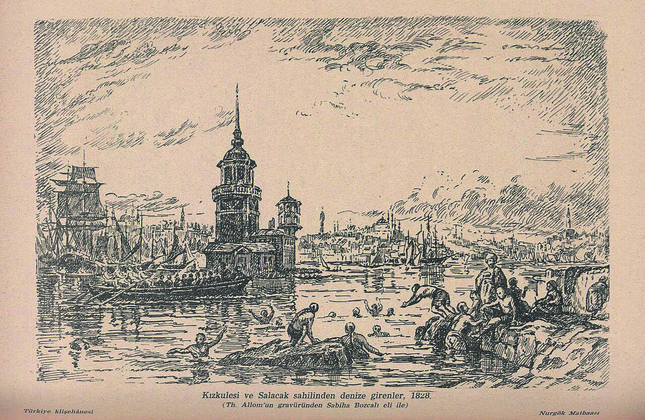 Sabiha Bozcalı’s illustration of Thomas Allom’s engraving. 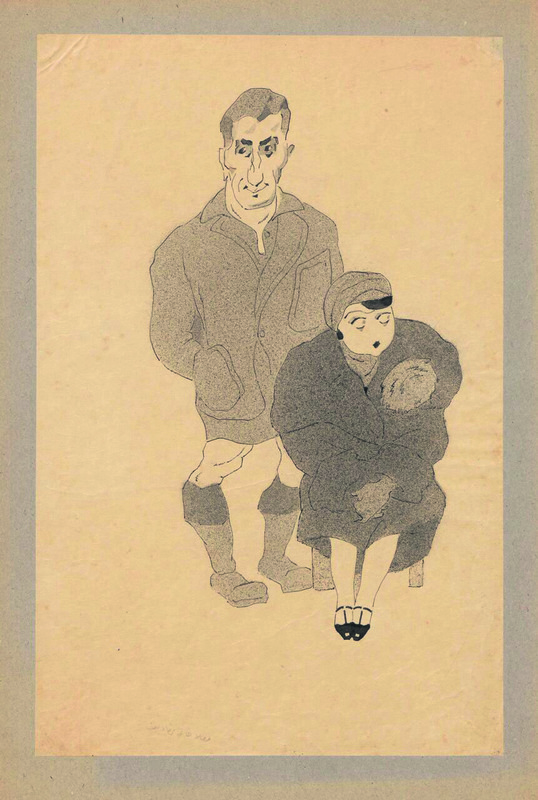 In 2014, a collection of Sabiha Rüştü Bozcalı's (1904-1998) works and documents was introduced and later donated to SALT Research. The contents of this archive revealed the life of a well-known painter and suggested that she was a key figure in Turkey's cultural history. Previously little known, the complex artistic career of Bozcalı, who grew up as the Ottoman Empire came to a close and the Republic of Turkey was born, will be explored for the first time through an exhibition of drawings, paintings, photographs, letters, postcards and the various publications she had a part in creating. Bozcalı was born into a privileged diplomatic family. Her father was an admiral, and her two grandfathers served as the Interior Minister and the Navy Minister, respectively. She began painting at the age of 5 with her mother's encouragement and was first tutored by Ali Sami Boyar, a painter and museum director. When she was only 15, Bozcalı went to Berlin, Munich, Paris and Rome to receive an artistic education. She worked in the studios of prominent painters such as Lovis Corinth, Moritz Heymann, Karl Caspar, Paul Signac and Giorgio de Chirico. Bozcalı also studied in the studio of Namık İsmail at the State Academy of Fine Arts in Istanbul from 1928 to 1929. Described by the neo-impressionist artist Signac as someone who was "talented, having sensibility that painting requires and entirely dedicated to the difficult working conditions of this profession," Bozcalı painted landscapes and still-life's, arousing considerable interest. In 1938-1943, during the early years of the Republic, Bozcalı took part in the government program "Yurt Gezileri" (Trips to Homeland) - organized to document the process of modernization and the creation and implementation of a new cultural identity across Turkey. As part of the organization, Bozcalı was officially sent to Zonguldak in 1939 to paint aspects of industrial development. She contributed to the transformation of the visual language of the period in advertising and publishing with her drawings for important institutions such as YapıKredi Bank and the İnhisarlar İdaresi (Directorate of Monopolies), which changed its name to TEKEL in 1946. After 1953, Bozcalı began working as a newspaper illustrator for various dailies, including Milliyet, Yeni Sabah, Hergün, Havadis, Cumhuriyet and Tercüman. 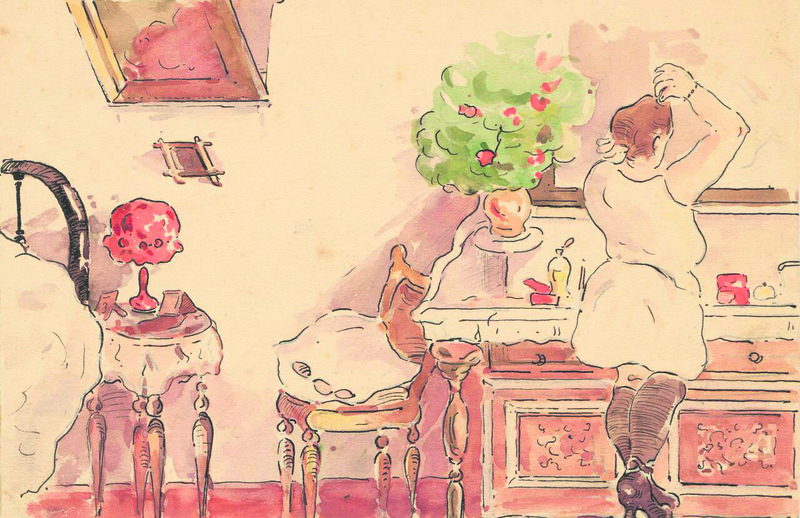 Alongside her role as one of the principle illustrators of historian Reşad Ekrem Koçu's "İstanbul Ansiklopedisi" (Istanbul Encyclopedia,) her drawings also appeared in books by writers such as Nezihe Araz, Cahit Uçuk and Refii Cevad Ulunay. Highlighting the diversity of Bozcalı's professional production through the social changes that occurred during her life, the exhibition includes documents, photographs and drawings from the artist's archive at SALT Research as well as documents from the Sabiha Bozcalı section of the Taha Toros Archive from the Istanbul Şehir University and watercolor and oil paintings from the family collection.